One of the things I've always wanted to do was attend a filming of a TV show, it's been dream of mine since I was a little girl. Thanks to the HUB network I was able to have that dream come true! 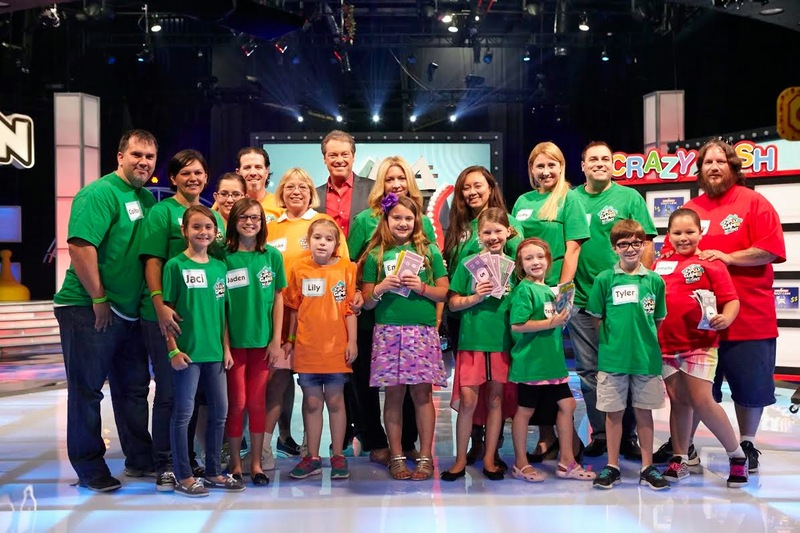 My family and I had the opportunity to go to Los Angeles and attend a taping of Family Game Night and we had a blast! It was so interesting to see how a show is made and what all goes into the production of the show and add on top of it all the fun games that are played on Family Game Night...we all seemed to have the best of time… The show is even more fun to see in person as it is to see on TV. On the show that we saw being filmed we had the chance to see some of the games we love such as Jenga, Bop It, Monopoly Remix, Barrel of Monkey's and Battleship. Watching those games being played live as opposed to watching it on television was a wonderful experience. 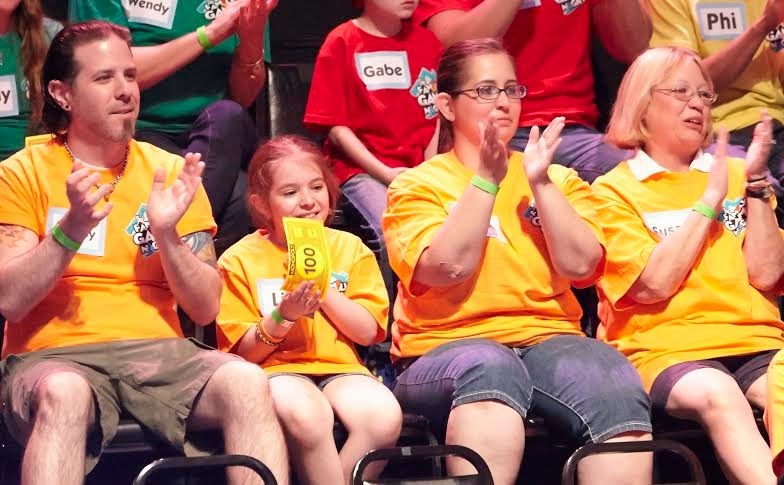 For the first time ever, celebrities and their families will play for charity when the fifth season of “Family Game Night” returns, Sunday, August 3 at 7 p.m. ET/4 p.m. PT on the Hub Network, champions of family fun and the only network dedicated to providing kids and families entertainment they can watch together. Joey Lawrence, Marlee Matlin, Jon Heder, Niecy Nash, Tracey Gold, Marissa Jaret Winokur, Lorenzo Lamas and Melissa Rivers Compete with Their Kids for Charity Audience Members Will Get the Chance to Play with WWE Superstar The MizTM and WWE Diva CameronTM Each of the celebrities appearing this season designated a charity to which “Family Game Night” will donate their winnings. 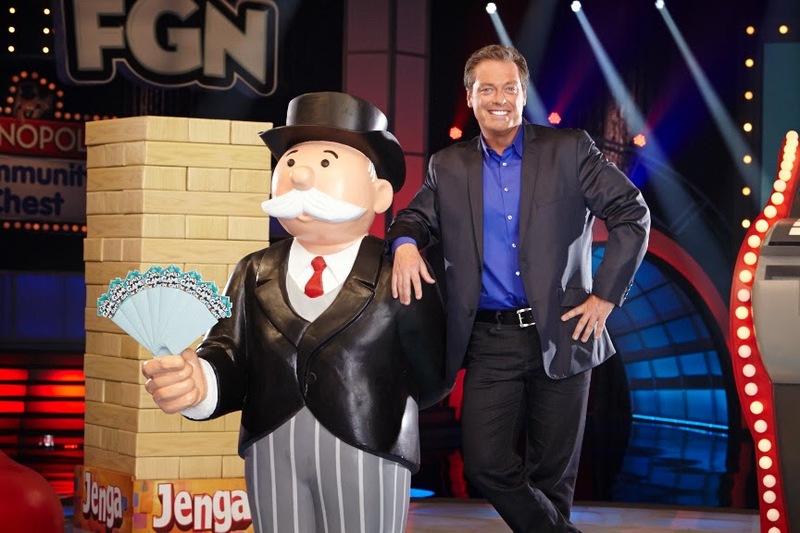 The series returns with the classic, action-packed life-sized Hasbro games viewers love, including JENGA, BARREL OF MONKEYS, MONOPOLY Remix, YAHTZEE, BATTLESHIP, CONNECT 4 Basketball, SIMON FLASH, OPERATION, SORRY! and BOP IT! Boptagon. 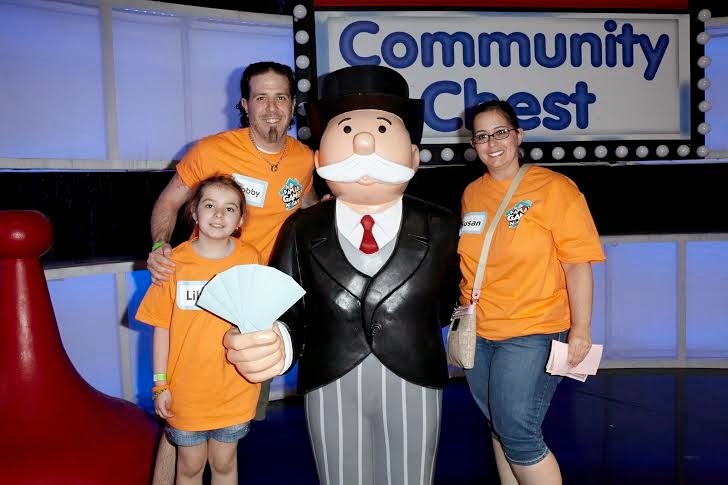 Every family that participates on “Family Game Night” plays in the Community Chest round. One lucky family with the combination that opens the chest advances to the final MONOPOLY Crazy Cash round and has a chance to win cash and a new car. Yes we had a cool celebrity there during our taping, I don't want to spoil the surprise, but it was someone I grew up watching, so that was pretty neat. I can't wait to see my family and I on TV, I will be sure to let you all know when the episode we were at will air, we are so looking forward to this fun season! 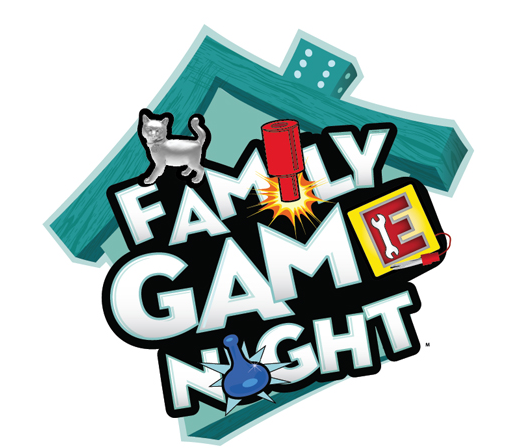 Are you excited for the new season of Family Game Night? Excited to see your favorite celebrities and their families? This show sounds like so much fun! I have to set my DVR so I don't miss it. What a great show to watch with the family! I've always wanted to go on a game show. The boys love this show, in fact they want the family to compete in int. I love Family Game Night. It's a great show with a lot of energy and a GREAT host. We don't have the channel anymore - boooo!! I loved watching this, it was something we all liked to watch as a family. I need to call and get the channel back! I love seeing family friendly shows like this one. With so much 'junk' on TV, it can be a challenge. Family Game Night is a great show. My husband and I watch it all the time with our daughter. She's fairly young, so she watches it mostly for the colors, and our reactions. I am honesty not familiar with this show. It looks like fun though! Oh my goodness, I am so happy to heard that it is coming back for another season... YAY! Thanks for the heads up! That would be SO fun to attend!! I have always wanted to go to a filming, too! Looks like such a fun show to watch with the family. I am not sure if we get it in Canada. I will check the tv schedule. What a great family friendly show! I've never heard of it, but I'll definitely have to DVR it! This is so neat. I've heard such cool things about it, but we sadly don't have TV in our house! That is great that you got on! My family enjoys watching this show. I love shows like these because they are so fun, and interactive! I would love to watch this again! Wow how cool! 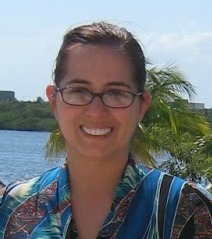 I would love to see you and your family on TV!! I bet you guys are super excited about it! I haven't seen the Family Game Night show yet. It looks like a lot of fun though. Will definitely be tuning in. I love game shows! What a fun looking show. What a neat experience for the whole family. I have never seen this show before. I'm not sure if we have this channel, but I'm totally looking it up because this seems like so much fun! Oh what fun you must have had! I've never seen that game show before but will definitely be tuning in to check it out. Oh wow, this looks like you all had a lot of fun! Thanks for sharing this with us all! That sounds like a lot of fun--now I know something else I'd like to see if I get the chance!